"Our proven process ensures that we are addressing every aspect of Retirement Planning"
This is our first meeting with potential clients, it will typically last an hour. We gather information about you, your concerns, goals, needs. This meeting is for us to get to know who you are, and will help us determine how we can help you. The second time we meet, typically 5 to 7 business days after the first meeting is where we share with you our findings on the data and information we gathered from the first meeting. This meeting typically last for an hour to an hour and half. We will show you exactly what your current scenario looks like as it relates to the data and information that we gathered from the first meeting. 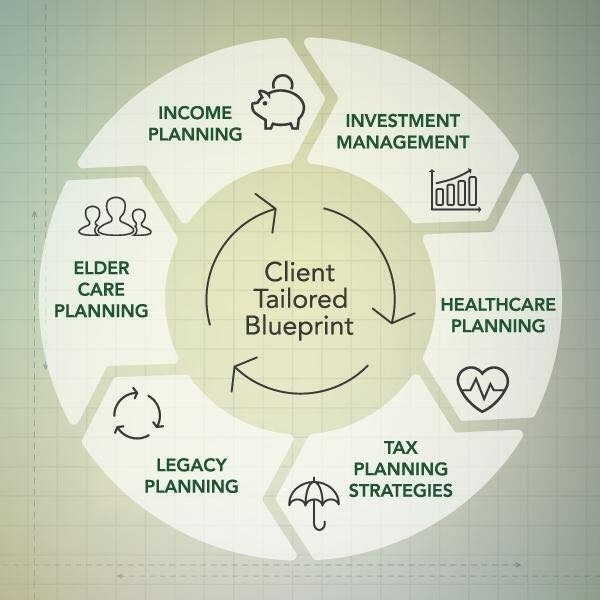 We will then show you a path or plan to follow, using our "Client Tailored Blueprint" that addresses the important goals and concerns that you have, at this point, your only decision is do you want to follow this plan and engage our services. This 3rd meeting is to begin your partnership with Bussenger Financial Group, typically we get back together about 3 to 5 days after the second meeting, this meeting lasts about 1 hour. We begin by answering any outstanding questions or concerns, then it's about following the plan that we have established. Welcome to Bussenger Financial Group!!!! Once we implement the "Client Tailored Blueprint", we monitor it on an ongoing basis, our work is never done. We will meet with our clients on an as needed basis, quarterly, annually is most common.